Now that we have gotten most of the NAMM 2011 coverage out of our system, we go back to doing what we do best... DJ Gear Reviews! 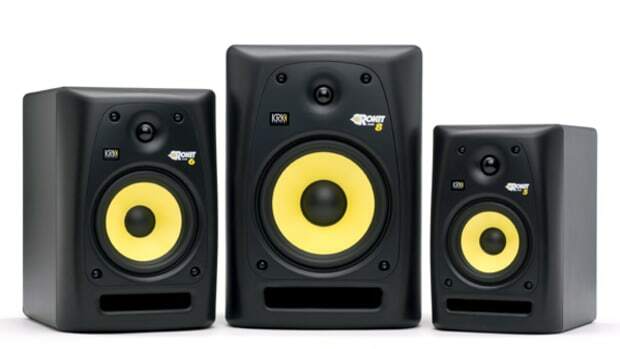 As promised, KRK has sent us a pair of their Best Buy Exclusive KRK VXT4-W (white) professional studio monitors so we could take them in the lab for a Full Written Review. 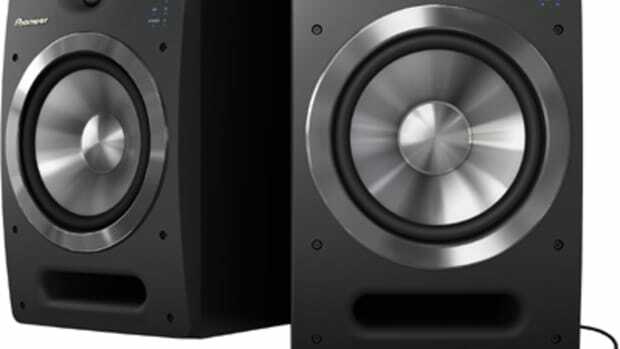 Our very own D-Macli put these speakers through the paces and was very impressed with the overall sound quality and durability of these powered monitors. Check inside for the review and product specs! 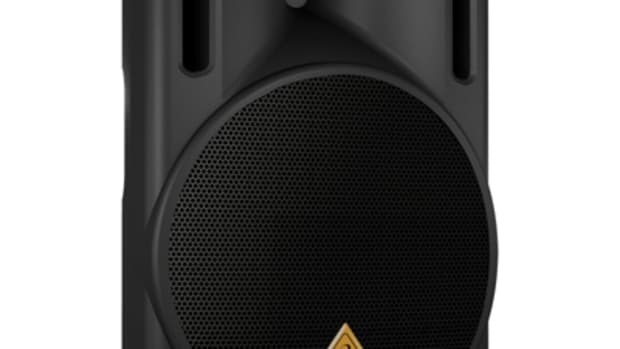 The VXT4 is the most compact speaker in KRK&apos;s VXT series of studio monitors. 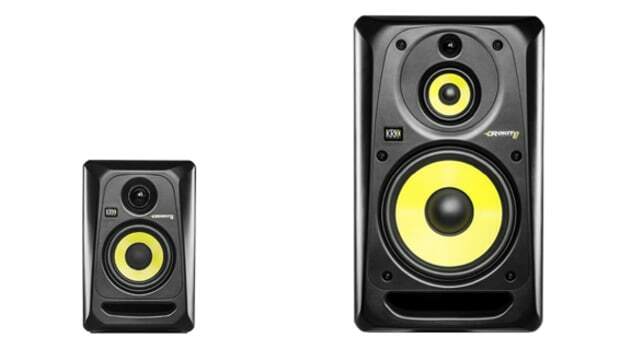 Whereas its big brothers - the VXT6 and the VXT8 - are better suited for studio use, the VXT4&apos;s small stature and reasonable price tag allows audiophiles to bring the pristine sound quality that KRK is known for to their desktop or home entertainment system. 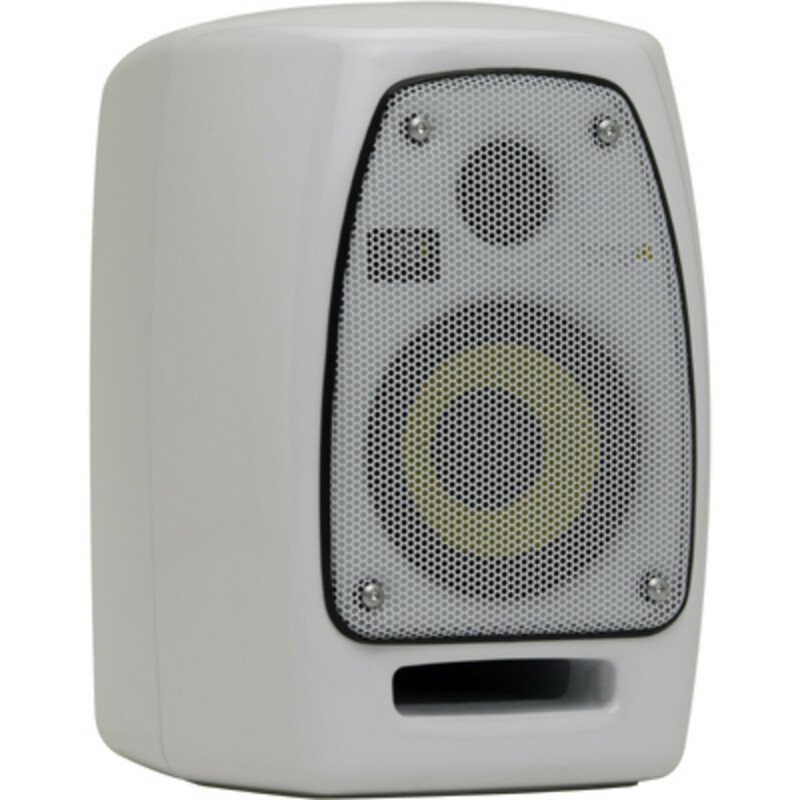 KRK provided us with a pair of VXT4w monitors which are special white editions that are meant to match a Mac or iPod. They are being sold exclusively at Best Buy for $249.99 each – so a pair would run you just under $500. The yellow woofer provides a nice contrast to the white speaker cabinet and gives the VXTs a modern, yet professional look. 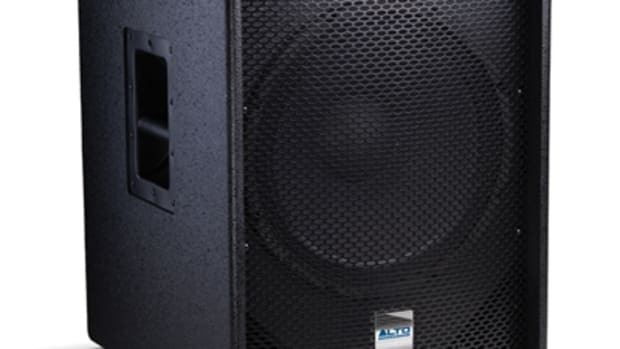 Setup was easy – simply plug the unit in and connect an audio source. The special Neutrik Combo Connector gives you the ability to connect XLR, 1./4” TRS or 1/4” phone plugs into one connection point. This is a unique feature but also limiting because you can have only one source connected at a time. Also since the VXT is targeted towards home entertainment/computer use I would have liked to see the ability to connect an RCA or 1/8 inch connection. 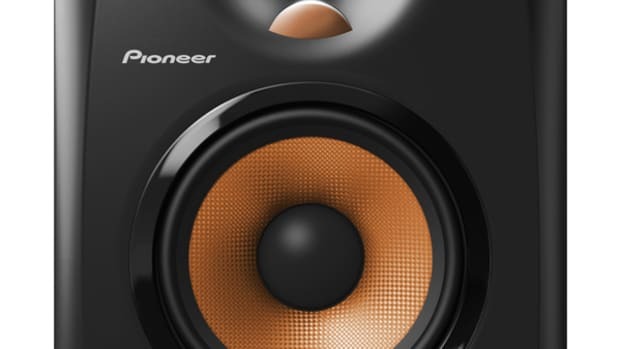 However KRK does include a cable specific to typical computer setups: A stereo mini (1/8 inch) plug split out to two ¼” plugs. 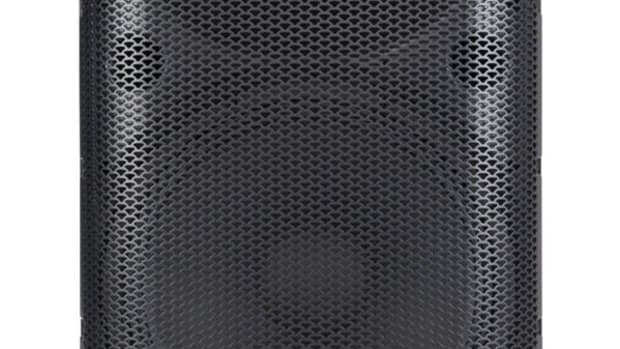 Although the VXT4w is is targeted towards home use, some features seem targeted towards a sophisticated studio or DJ setup. For example, the output volume for each speaker is found on the back of the unit and controlled by a very, very small knob. Personally for home use I prefer to have the volume in the front for easy access, but this is a small gripe. The VXT4 also lacks a headphone connection, which is an option I have found to be a useful when using my Alesis M1 Active 520s. What the VXT4 lacks in convenience, it more than makes up for it in sound quality. With a Kevlar woofer, silk tweeter, and specially designed cabinet, the KRK is built to provide pristine, undistorted sound at high volumes. I compared the sound of the VXT4s to my Alesis 520s and could instantly tell that the VXT4s provide crisper highs and deeper lows. I was amazed by how much full-sounding base could come out of a 4” woofer. Even more impressive was the performance of the tweeter which seemed to breathe new life into songs by allowing me to hear every single element of the music clearly regardless of how high I set the volume. Here at DJBooth.net we were amazed at how the VXT4 can pump out clean sound at high volumes. 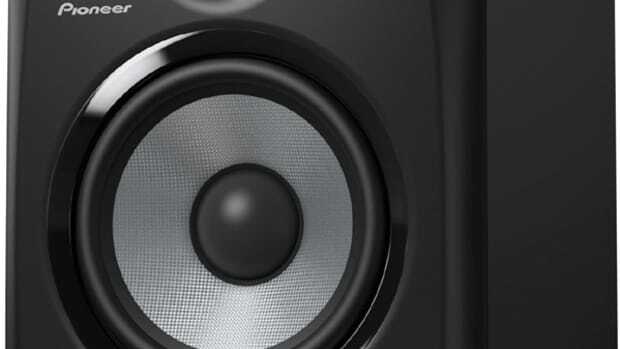 The KRK VXT4 Monitors deliver incredible performance in a small package and are perfect monitors for perfectionist DJs and Producers looking for a combination of portability and crisp clear sound. However, people looking for the flexibility to have multiple inputs hooked up at once or a headphone output may be slightly disappointed. Even so, in the end even those users may be glad to sacrifice some convenience in exchange for incredible sound as long as they are not frightened by the high price tag.